This conference showcases new and ongoing research on military occupations, their socio-cultural contexts and post-war reverberations. Focusing on European societies in the age of the two world wars, the conference will cover a wide range of topics and approaches. We will explore how case studies that foreground individual agency and everyday experiences can enhance transnational research and vice versa. Thus the aim is to bridge the gap between micro and macro perspectives, and between local/regional and global/transnational approaches to the history of both World Wars. The conference is divided in four thematic sessions: 1/ Elites and Governance, 2/ Spaces, 3/ Social Groups and Dynamics and 4/ Experiences and Memories. A keynote speech by Professor Sophie De Schaepdrijver (Penn State University; currently University of Kent) will open the proceedings. In the evening of 22 June, Dr Nico Wouters (CegeSoma and Ghent University) will launch his new book, Mayoral Collaboration under Nazi Occupation: Belgium, the Netherlands and the North of France, 1938-46, followed by a panel discussion. 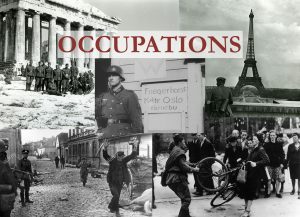 The conference is organised jointly by the Centre for the History of War, Media and Society (University of Kent) and the Department of History (Ghent University), in cooperation with CegeSoma (Brussels) and NIOD (Amsterdam). For more information, please contact Dr Stefan Goebel (S.P.Goebel@kent.ac.uk) or Dr Nico Wouters (nico.wouters@cegesoma.be). 11.00 – Registration and Coffee. Jan Naert (Ghent) – Governing under Occupation: Belgian and French Mayors during and after World War One, 1914-1921? Nico Wouters will briefly present his new book Mayoral Collaboration under Nazi Occupation Belgium, the Netherlands and the North of France (1938-46), followed by a panel discussion between the author and Pieter Lagrou (Université Libre de Bruxelles), Martin Conway (Oxford University) and Sophie De Schaepdrijver (Penn State/Kent), moderated by Stefan Goebel (Kent). 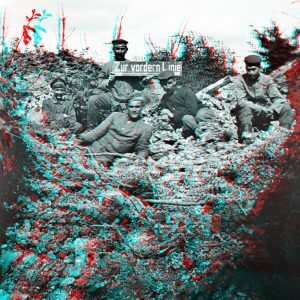 This small-scale conference addresses the nexus between “body” and “soil” in First World War Europe. It aims to examine the link between, on the one hand, the war’s damage to the human body, and, on the other hand, how the very conduct of the war invested space with meaning, which in turn allowed for the countenancing of bodily damage. Shattered bodies at the front; stunted bodies on the home front – both, to varying extents and varying audiences at varying times, seemed a necessary price to pay for the preservation of national space (however “national space” was defined). Still, the tension between “body” and “soil” was ubiquitous. This question is of particular interest for the study of the First World War. Obviously, all wars are ultimately fought over space; and, in all wars, the human body is the ultimate theatre. But training the body-and-soil perspective on First World War Europe is particularly rewarding for two reasons. First, this war stood at an apex of national imagining. The idea of the national bolstered mass mobilization to an unprecedented degree, and the link between “nation” and “territory” seemed more self-evident than it had ever been, swaying opinions even in imperial borderlands. The war mapped out belligerent Europe into, first, “fronts”; second, those spaces which the fronts defended (l’arrière, die Heimat, Blighty, vatan, otechestvo); and, third, invaded spaces – to be either liberated or held onto, depending on perspective. Second, this war wreaked unprecedented havoc on the human body precisely at a time when knowledge of the human body had reached a peak. To give just three examples: the term “vitamin” was coined in 1912; soon after, general staffs calculated the impact of withholding nutrients from enemy populations. The years before the war saw breakthroughs in orthopaedic surgery and neuroscience – fields soon to be sorely challenged. In the First World War, then, the tension between “body” and “soil” was particularly acute. In addressing this central idea, speakers, commentators, and discussants are free to range very widely across subjects – tactical planning; medical discourse; war graves; internment camps; economic blockade; aerial bombing of civilian targets; military occupation; time-horizons; the visual arts; literature… – and, of course, across regions and theatres. 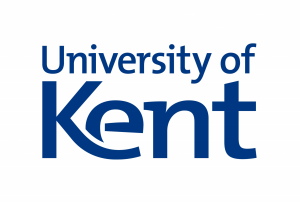 The conference will take place at the University of Kent, Canterbury campus (Darwin Board Room). It starts on Thursday, 4 May, at 2 p.m., and ends in the late afternoon of 5 May. Papers will be pre-circulated and commented upon by University of Kent and other scholars. The study of war and propaganda is well established at the University of Kent. The Centre for the History of War, Media and Society is interested in different types of conflict, from trench warfare and geopolitical standoffs to guerrilla and terrorist tactics and civil defence initiations. It also considers the application of technology and medicine in warfare, the impact of the media on public opinion, along with the increasing importance of the home front in contemporary warfare. A further strand of research is the legacy and memory of war in the twentieth century. The Centre for the Study of War, Media and Society will host the book launch of British Exploitation of German Science and Technology, 1943-1949, by Charlie Hall and published by Routledge, on 21 March 2019. It will take place in the Rutherford College Rogers Room on the University of Kent campus from 6pm. Flanders House (Belgian Embassy) will host the launch of Ypres, co-written by Mark Connelly and Stefan Goebel and published by Oxford University Press on 22 January 2019. The Centre welcomes Professor Paul Sharp from the University of Minnesota Duluth as visiting professor in 2018/19. Professor Sharp will give a paper on ‘Bad Leaders and Good Diplomacy’ in the School of History Research Seminar at 4pm on 21 November 2018. Linsey Robb and Juliette Pattinson (eds. ), Men, Masculinities and Male Culture in the Second World War (London, 2018). In this new edited volume, Linsey Robb (Northumbria University) and Juliette Pattinson (Head of the School of History at the University of Kent) bring together collected essays exploring British masculinities and male culture during the Second World War. David Budgen, British Children’s Literature and the First World War: Representations since 1914 (London: Bloomsbury, 2018). 2018 sees the publication of British Children’s Literature and the First World Warby Dr David Budgen, Associate Lecturer in the School of History and member of the centre for War, Media and Society, University of Kent. What is Propaganda (Studies) Now?